Gulfstream Park on Thursday will be warming up, literally, for Saturday and the inaugural $12 million Pegasus World Cup (Grade 1). First post on Saturday is 11:30 a.m. for a 12-race card that will end with the Pegasus at 5:40 p.m. (all times listed are Eastern Standard). 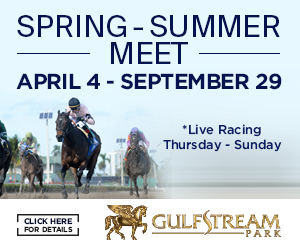 Our advice is to get to Gulfstream as early as feasible on Saturday, a first-of-its-kind day when the atmosphere likely will be hectic driving to and then getting onto the property (details below). 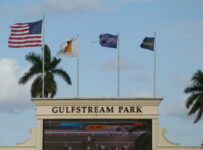 On Thursday, Gulfstream has an 11-race card with first post at 12:35 p.m. 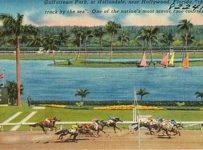 Conditions are fast and firm at the track in Hallandale Beach, Fla. The Weather Channel forecast is for a zero percent chance of rain during the afternoon and a high temperature of 84—warm even for the Miami-Fort Lauderdale area this time of year. 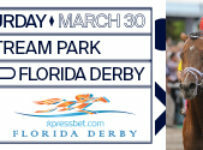 We will have coverage of the races and Pegasus-related news during the afternoon and evening on our blog. On Friday (also 11 races and 12:35 p.m. first post) the forecast is for a high of 79 and a 40 percent chance of rain during the afternoon. The forecast is for no rain overnight Friday/Saturday, and no rain during the day on Saturday. The forecast is for a high of 70 on Saturday, and it is fortunate that Saturday will be mild and dry. 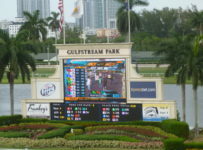 Some of the high-priced tickets will not be sold at Gulfstream. But a crowd of between 12,000 and 16,000 is likely. 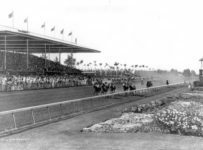 And it will be different in some ways from the family-like crowds at Gulfstream for the Florida Derby and other traditional big Saturdays. The attendees on Pegasus Day will include members of Middle Eastern royal families and racing dignitaries from the United States and other countries. 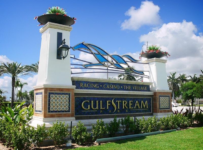 The Gulfstream-run security will be tight, and the parking and entry to the racing area process could be lengthy for those who have tickets. 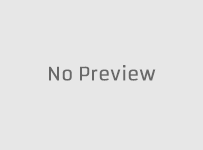 It also could be frustrating and surprising for local fans that show expecting that, per usual, there will be no charge for general parking and admission. 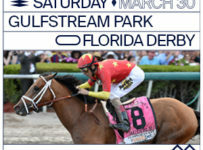 For several weeks, Gulfstream has been running ads about Pegasus day on many Miami-Fort Lauderdale area TV and radio stations. But as of Thursday, none of those ads have mentioned that for this one day general parking will be $20 and general admission will be $100 (no seat included). No doubt many disgruntled fans will turn around, producing a snarl headed out of and coming into Gulfstream. 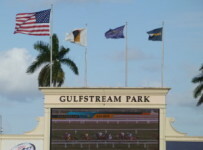 Barricades will be set up around Gulfstream’s racing area, and tickets and likely wristbands will be needed to enter. One side effect is that the day could be disruptive for people who show up just to shop at stores and/or eat at restaurants at the adjacent Village of Gulfstream Park. We still don’t have an official answer on whether any of those customers will have to pay to park. 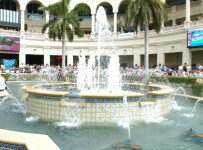 The two Gulfstream casino rooms will be closed on Saturday except for premier customers, i.e. big players. It is the midst of tourist/snowbird season, traffic should be heavier than usual on Federal Highway, Hallandale Beach Boulevard and side streets near Gulfstream. Police officers from other agencies will join the Hallandale Beach Police Department in traffic management on the roads. 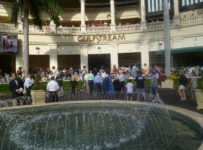 There will be more Hallandale Beach officers than usual inside Gulfstream, working with the track’s security forces. 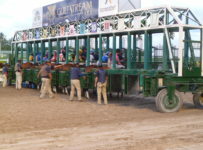 Inside Gulfstream on this unusual day it is likely that overall things will be run smoothly amid tight security. 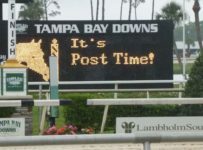 The Stronach Group and Gulfstream have spent eight months getting ready for Pegasus day. Look for them to be as well-prepared as California Chrome and Arrogate. 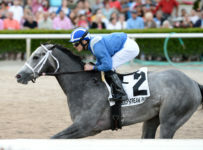 Off the track, there is much more than $12 million at stake for future Pegasus days—whether at Gulfstream or at Santa Anita Park in Arcadia, Calif.